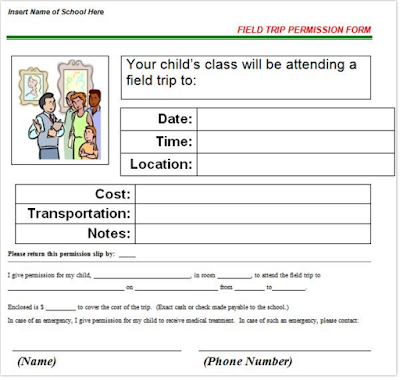 Need to create a permission slip or field trip letter? Try Template Lab. Has 30+ templates. Template Lab is a website that has 35 permission slip templates to be downloaded for use (Microsoft Word). Example of a permission form on the site. Below are three GIFs on what the site has available for you to get a glimpse of what the site has available. 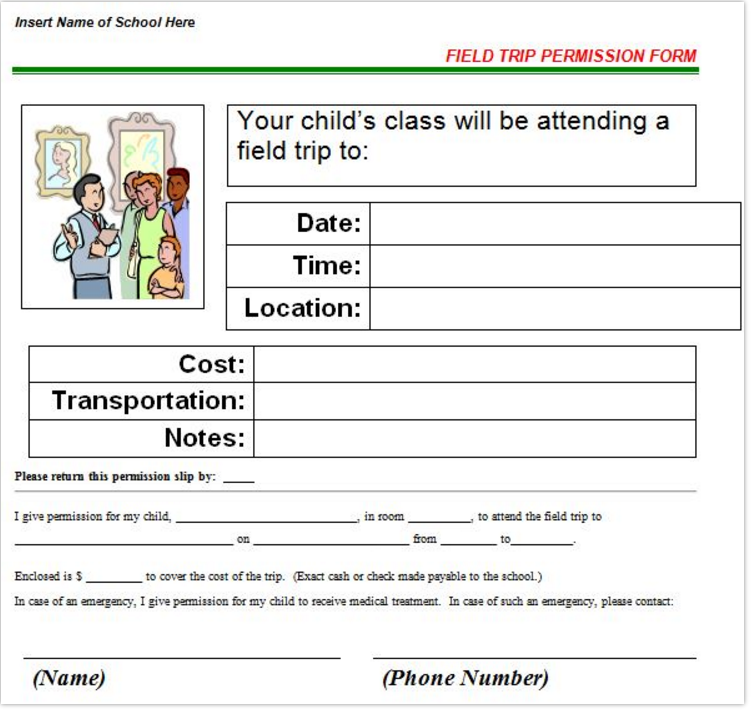 If you are in need of creating a permission slip - give Template Lab a try.